London-based parisian duo The Penelopes managed by Pour Le Monde Records has been chosen by Meltdown curator, Robert Smith, to play on Sunday 17, for a special line up which will take place at the Southbank Centre in London. Smith's Sunday Suprises Part 1 is a free event from 1pm to 7pm. Robert Smith curates the UK's longest-running artist-curated music festival in its 25th year. Meltdown is one of the UK's most anticipated music events each year, in which an iconic artist selects their own personal festival, revealing their interests and influences. Robert Smith follows in the footsteps of legendary curators like Patti Smith, Nick Cave, Yoko Ono, Massive Attack, Ornette Coleman and 2017's M.I.A. Axel Basquiat stated, "To be asked to play at the Meltdown Festival by Robert Smith himself was personally a huge honour for both Vincent T. and myself, as we are huge fans of The Cure, who they we see as a major influence for our music career." 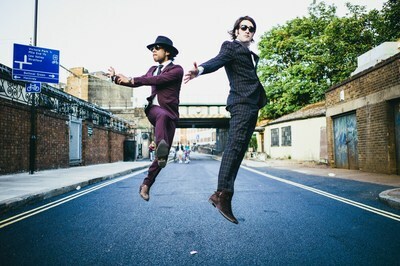 Their remix of "Just Like Heaven" has became an underground hit with support from the likes of Rob da Bank at BBC Radio 1, Kissy Sell Out, Eddy Temple Morris at XFM, Tensnake, Little Boots and Hot Chip. Since their move to London from their native Paris suburbs, the Art-Pop duo The Penelopes have been making waves with their formidable list of remix work, that includes a line of up of Lana Del Rey, Pet Shop Boys, and Alt-J. In addition, they have worked on a number of soundtrack compositions with the likes of Asia Argento among others. Following their appearance last month in Cannes Film Festival, The Penelopes are now working on a new album "A Collection of Dance Songs for Loners" that will feature a bevy of international thespians. 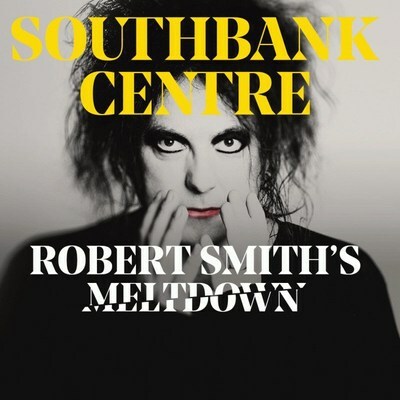 A few selected songs will be premiered this Sunday live at Robert Smith's Meltdown Festival.